MonitorCast 4 is a feature-rich enterprise access control system that comes integrated with the VI 7 video management system. MonitorCast provides intuitive door management and access levels. System Admins can configure these levels, to be on a schedule, consist of a single or multiple locations, and be linked to video events, thereby forming a consolidated system. MonitorCast requires no client licensing for remote and local access from multiple users. Also there are no limitations on how many concurrent connections can be made. Receive instant alarms and event notifications via email or live notifications on the dashboard. Instant alarm notifications range from Forced Door or Access Denied alters, allowing first responders to react quickly and effectively. 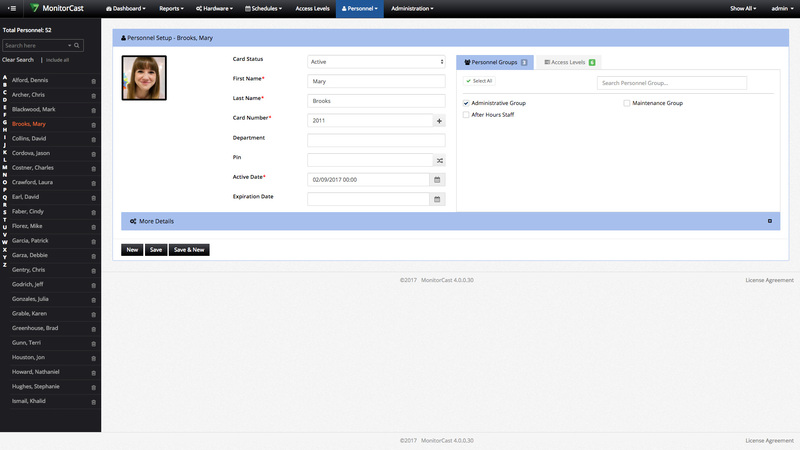 Alarms can be configured based on sites and configured with any time schedule. 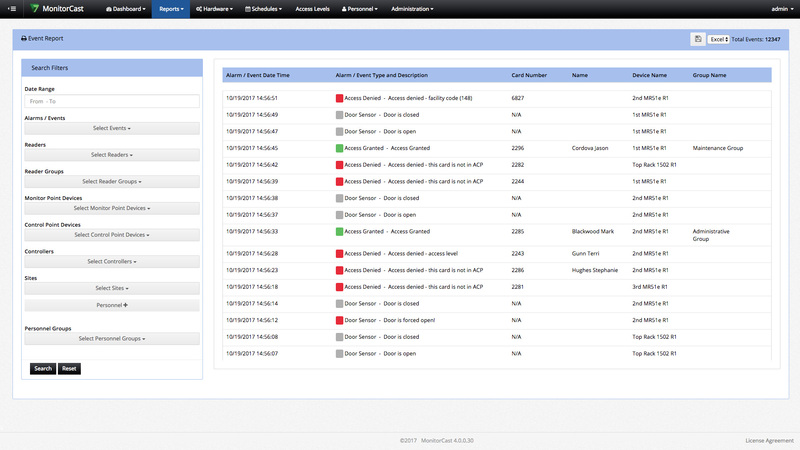 With MonitorCast Access Control, users can access the activity dashboard and door controls from their own computer directly from any browser on the same network. Remote access from browsers is accessible with proper port forwarding. Plot out your alarms visually using Map Based Alarms, providing real time door alarms using the VI Monitor client access control map interface. Unify your IT infrastructure by centralizing your personnel management database with Active Directory integration. By using Active Directory, an administrator can import personnel lists as individuals or groups, issuing them access levels. Prevent unauthorized access to the most secure areas of the facility. Anti-Passback is available with multiple modes, including Hard, Soft, Area, and Timer based options preventing the sharing or unauthorized access to personnel’s cards. We understand that some locations require a bit more protection. By enabling Dual Card authentication, administrators can require two unique personnel cards to be presented to grant access. This extra configuration ensures that top clearance areas are safeguarded with this extra layer of protection. Keep track of area occupancy, for managing mustering events and improving safety during emergency situations. 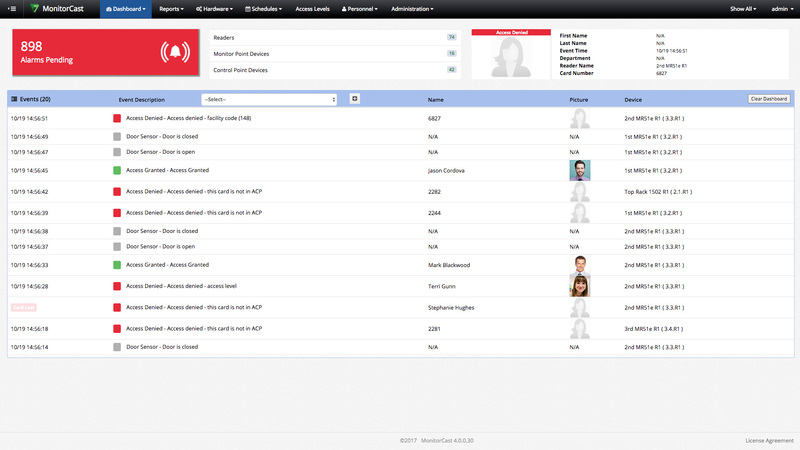 Occupancy control is available with a high, low and zero count notification within the interactive Dashboard. MonitorCast 4 now contains a fully fleshed out rules manager which allows for completely independent system configuration. Create fully customized system reactions to any event such as a door being forced opened, or access being denied at a specific location all without leaving MonitorCast’s UI. Perfect for large multi-location facilities and K-12 school districts with several locations, MonitorCast provides the ability to partition controllers into multiple primary and secondary sites. Each site contains independent controllable hardware, cardholders, and schedules all managed in one central console. MonitorCast now provides you with the ability to limit the size of records and events which consists of your database. Custom database sizes can now be set by an administrator, in order to function in accordance to user’s schedules, and provide greater stability to the platforms. Access Control Platform for interfacing a single door opening. The EP1501 is the latest addition to the Mercury Intelligent Controller line and delivers powerful innovation at an economical price. 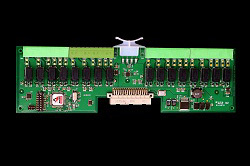 The high-performance controller platform provides power over Ethernet (PoE) and is capable of seamlessly connecting a single opening to a larger system (up to 17 openings) for flexible, reliable expansion. Access Control Platform for controlling 2 to 64 doors. 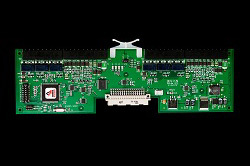 The multi-port EP1502 controller platform is an Ethernet-enabled dual card reader panel for controlling two connected doors and managing up to 64 doors/openings. The high-performance controller can function independently of the host and supports a variety of reader devices. The economical EP1502 also enables access control, alarm management, scheduled operations and additional features -- all in a single package. The EP2500 platform uses an Ethernet link to connect to a Windows or Linux host and is capable of redundant link support. The EP2500 enables, access control, alarm management, scheduled operations and additional features -- all in a single package. 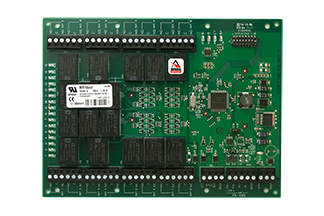 The EP4502 intelligent controller is Mercury Security’s next generation advanced access control platform. 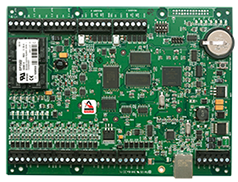 The most powerful controller in the Mercury product family, the EP4502 is built on the Linux operating system enabling the integration of complimentary 3rd party software applications onboard. The enhanced memory footprint provides support for large scale system deployments with significant user record and database requirements. 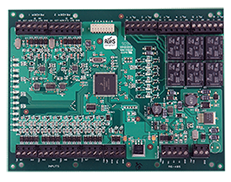 An intelligent control device for the replacement of the Casi PX, PXN and PXNplus CPU controller. The M5 Bridge is one of Mercury's historic lines of controllers designed for interoperability with legacy third party access control systems. The M5 Bridge was built from the existing Authentic Mercury controller platform and has been redesigned to fit the specific physical parameters of Casi Micro5 enclosures used in Picture Perfect™, Secure Perfect™ and Facility Commander™ access systems. Interface panel for single door, direct network connectivity. The MR51e is a single-door, network-ready interface panel that is an ideal integration solution when a direct network connection to a single door is required. The economical, high-performance device is compact and is easy to install anywhere. It also provides the I/O needed with PoE for complete door functionality. 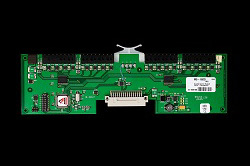 Reader interface panel provides robust connectivity to peripheral devices. 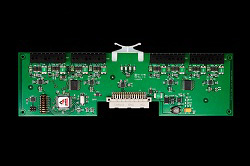 The MR52 is a dual-card reader interface panel with on-board flexibility to connect to a wide range of security devices. 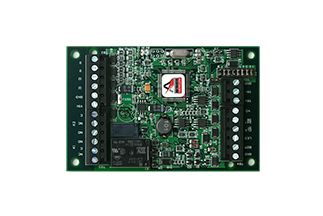 This economical, high-performance device is easy to install and provides all the necessary I/O for controlling two doors with auxiliary point control and monitoring. 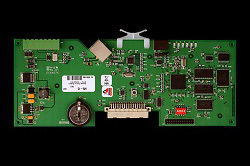 Each unit can connect two card readers, eight general purpose input monitor points and six control relays to any Mercury EP series intelligent controller. A multi-device interface panel for the replacement of the Casi 2RP reader control device. A multi-device interface panel for the replacement of the Casi 8RP reader control device. The multi-device MR16OUT interface panel for OEMs provides 16 general purpose outputs as Form C relay contacts. The MR16OUT, provides individually configurable parameters that can be set for timing and for fail-safe versus fail-secure modes. 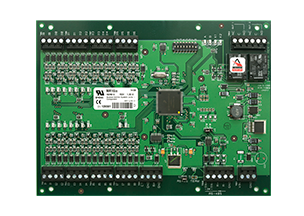 A multi-device interface panel for the replacement of the Casi 16DO output control device. A multi-device interface panel for the replacement of the Casi 16DOR input control device. 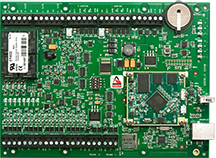 A multi-device interface panel for the replacement of the Casi 20DI input control device. What is MonitorCast 4? MonitorCast 4 is an enterprise class access control product designed to reduce the cost of entry into enterprise security. The MonitorCast 4 features compliment most facilities, allowing them to access to the most used features in the access control industry. MonitorCast has the most commonly requested features including unlimited scalability and card holders, simultaneous users and integration to video management. It, however, includes features such as mustering, anti-pass back, and partitioning (Q11 below has a more comprehensive list). Why is Video Insight bundling MonitorCast 4 for free? Video Insight recognizes the unique security, budgetary and infrastructure challenges property owners may face. The new v6 software leverages existing network infrastructure and Mercury-based access control system and provides the necessary key features to enhance your facility's security with no additional cost for a limited time only. Seamless Integration with Video Insight or standalone installation. MonitorCast is available to certified partners who attend our specific training class, currently sell Mercury based access control systems, or demonstrate familiarity with Mercury products. MonitorCast is bundled free of charge with Video Insight Server v6. The application is licensed on a "per door" basis. There are no client or server licenses required. A numeric license key is required and specifies the number of doors allowed to run on each MonitorCast Server. Licenses are specific to the server hardware and must and are licensed on the single box. Changes to the hardware require new license keys. Additional doors can be added with a new key. Door licenses are included free of charge with each Video Insight Camera license. For example, a 100 camera Video Insight system includes a license for 100 MonitorCast doors. Advidia cameras also include a MonitorCast door license. MonitorCast has no recurring fees with a current Video Insight SUP agreement or Advidia products. The application will run for 60 days with up to 99 doors without a license. At the end of 60 days, a valid license key will be required for the application to continue to run. 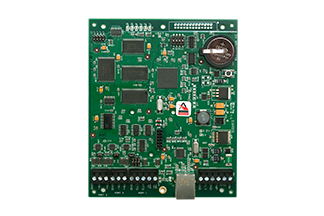 MonitorCast is designed to support Mercury access control boards. MonitorCast does not require hardware to be purchased from Video Insight. Boards from existing installations and vendors are supported without modification. Video Insight is an authorized distributor of Mercury Hardware. Contact sales for pricing. Housings, power supplies and door hardware are not available. The system can run standalone or can run on the Video Insight Server. Installation includes Microsoft SQL Server Express. Existing standard and enterprise versions of 2008 and 2012 SQL Server are supported. MonitorCast is designed for single server installations. A single server can support an entire district implementation. What ports need to be open? Web based administrations default port is 80. The Server communicates to the boards on the default port of 3001, but this is user configurable. We recommend communication between the MonitorCast Server and the Mercury boards be in a separated network with no public access. MonitorCast is powered by a SQL Server database and has no specific limit for the number of doors, administrators or simultaneous connections. Mercury boards allow 240,000 cardholders. Practical limits include the available bandwidth and time required to update all boards. MonitorCast has been tested in a 1,000 door simulated environment. Individual or multiple readers can be selected and controlled but not by groups. No limit to card formats. Facility codes within the card formats.